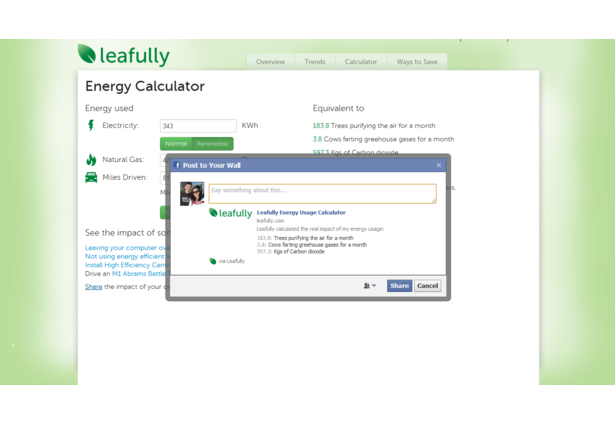 Leafully is about helping people understand energy usage. A huge problem is that the units of energy are hard to comprehend. Leafully brings these terms down to something simple - a tree. 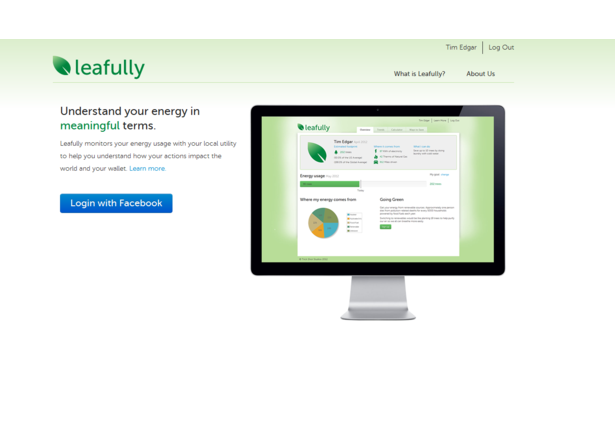 Leafully also recognizes that energy usage is more than just electricity usage and thus tries to give the user a toal tree footprint - the amount of trees needed to offset the pollution created by one's energy consumption. 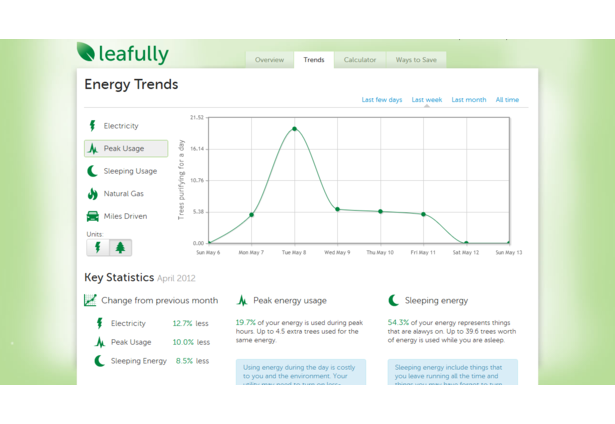 Leafully is organized into a few main areas: diving deep into the hourly data with historic trends, understand the effect of the abstract units of energy, and taking action with tree values in mind along with friends. To use the application you will need to authenticate with your Facebook login. Once you have authenticated you'll be prompted to connect to Green Button data. If you have a PGE account, we recommending using that as it's the most seamless experience. If you have green button data, upload it, otherwise, we have a sample file stored on the server that can allow you test drive the application. 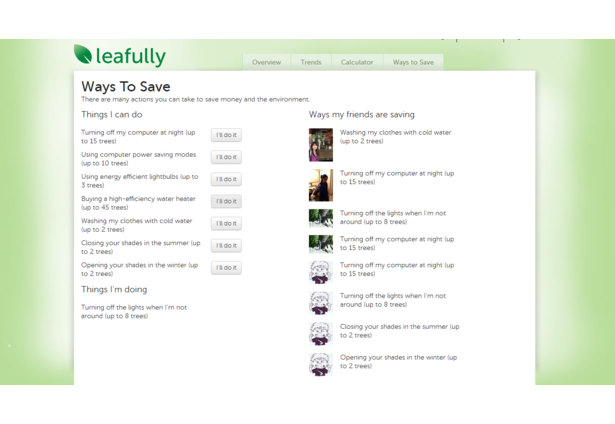 Once you are logged in, you'll have 4 main views: overview, trends, calculator, ways to save. You can learn more about what other data we used to produce the site in the learn more link at the top. If you want to reset your account to start over with new data, click your name and you'll land on a profile page to reset your account or change your profile. The main views are described in further detail below. We also hope to demonstrate the true need of smart grids through peak energy-trees by showing the difference when they use energy from less efficient and potentially dirtier plants. 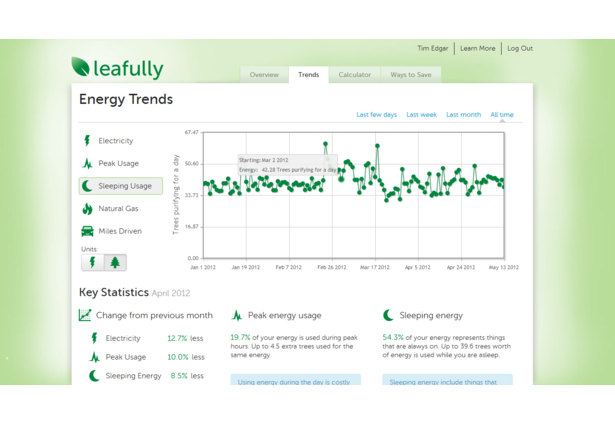 The trends chart calculates this difference when the tree unit is selected on the peak energy metric. 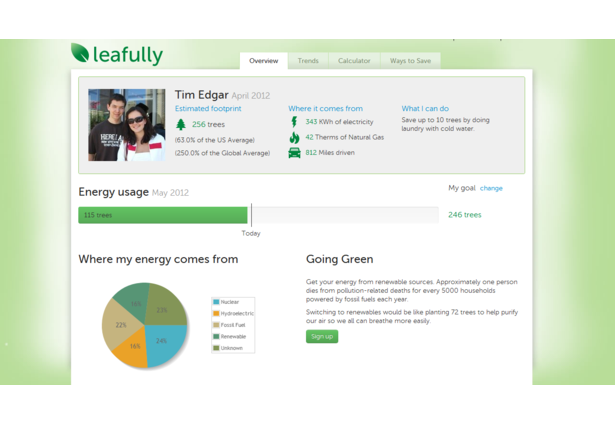 We show the user the mix of energy they consume and show them the impact of switching to complete renewables. We envision consumers choosing to pay a premium to reduce their footprint by tens if not hundreds of trees by going green. 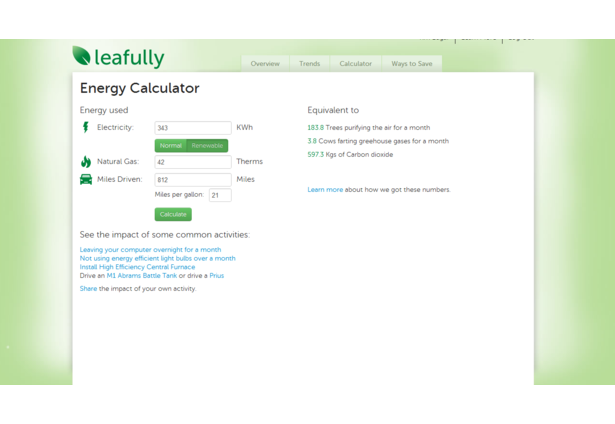 The calculator aims to take their energy consumption and let them see the impact in trees and other interesting units such as cows farting. While playful, the goal is to let people understand the dynamics of the energy market, where different forms of energy become more desirable based upon efficiency. Clearly using renewable energy would be ideal, but they can compare buying a hybrid to buying a high-efficiency water heater through the common activities links. Our goal is to reduce the complexity through these common units that a kid can understand what energy usage means. Given this knowledge of the global impact of their behavior, people will start making habit changes. Our goal is to encourage them through connecting them with their friends. Through Facebook, people are rewarded by their peers for being a good global citizen by allow them to work together on key tasks. Due to the timeframe of the contest, we weren't able to do as much as we'd like in this area. We would aggregate the tree values across all their friends so they can see the net impact of their community in large tangible numbers - a forest the size of the Yosemite. Using what we know about badges, working with friends, and other social motivators, we can shape the habits of our generation to demand renewable energy, smart grids, high-efficient products and the development of the energy industry. Not all the vision was completed, but all the key components are there in changing how people think about energy to taking action on that knowledge. Given more time, we would have liked to support more providers to make it easy for someone to use our application. Making it easy for them to use Leafully is important to create the critical mass for the social feedback on the actions and community goals. We envision making action equally easy, such as programs to buy renewable energy from Leafully, resources & rebates on buying energy saving appliances or services based on their trend data, and connecting people to share a ride from their Leafully network. Technology can bring this all together to make it easy for users to understand their energy and take action to make the world a sustainable place for the future. Using tangible units to measure one's energy consumption is an excellent idea. The software tool is user friendly. Hi there, I tried to use the data I can get from Con Edison (http://beta.econofy.com/coned) which is only monthly and your app doesn't seem to work for it - maybe you can let me know what is missing from my data or make your software handle it? You did a fantastic job!! It's great idea to save the earth. RE: WIlliam W - Thanks for reporting the issue with coned data. We'll look into supporting coned once the judging period is over and we can update the site. Thanks for trying leafully out and reporting the issue! I love the use of number of trees as measurement for energy, and I can budget and watch the energy consumption. Congrats for winning the grand prize! Congratulations on first place. You've developed a wonderful app. @Lily - Thank you. I personally changed my behavior the moment I did the calculations for my own tree consumption. @Omer - Mint.com has been one of my favorite sites from a design perspective. I tend to think of it as imitation is the sincerest form of flattery. @Andrew - That's a good point. Using MPGe would be a way to get to the contribution from your car in the calculator. If you want to see the total number of trees, you can also set miles driven to 0 as the energy for your car is reflected in your electricity bill. 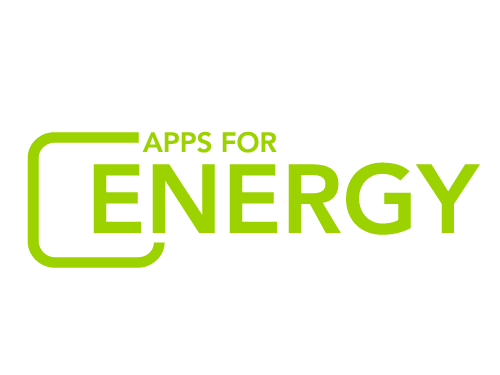 I am working for a Dutch energy company Essent, part of the European energy company RWE, and this summer we are going to start a pilot; where developers are challenged to build an app for the smart meter, and we will invite 250 customers to test it. There will be some nice cash prices for the developers, and ofcourse we have the intention to bring the winning app on the market. Great project.. Congrats on the first place. Bring more saved energy into your future projects. Comments for this submission are closed. View the software in Tim1831E's portfolio to continue the conversation.